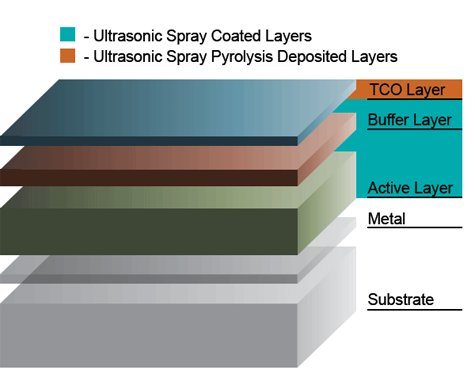 Uniform thin film Indium Tin Oxide (ITO), Aluminum Doped Zinc Oxide (AZO), Zinc Oxide (ZnO), and Fluorine Doped Oxide layers are often created using an ultrasonic spray pyrolysis technique. This unique process demands specialized coating equipment to create necessary coating thickness and morphology, spraying corrosive solutions in a high temperature environment. In a high temperature ultrasonic spray pyrolysis process, precursor solutions such as Aluminum Zinc Oxide are sprayed onto a substrate heated to approximately 300-500 degrees Celsius. The solvent is evaporated in transit and the ZnO crystalline film is grown on the substrate surface, often soda-lime or other glass. 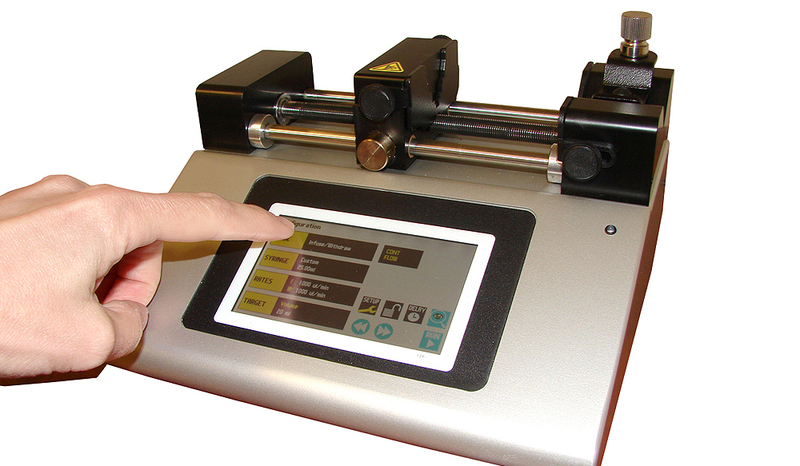 Substrate temperature often dictates the morphology characteristics of the film. 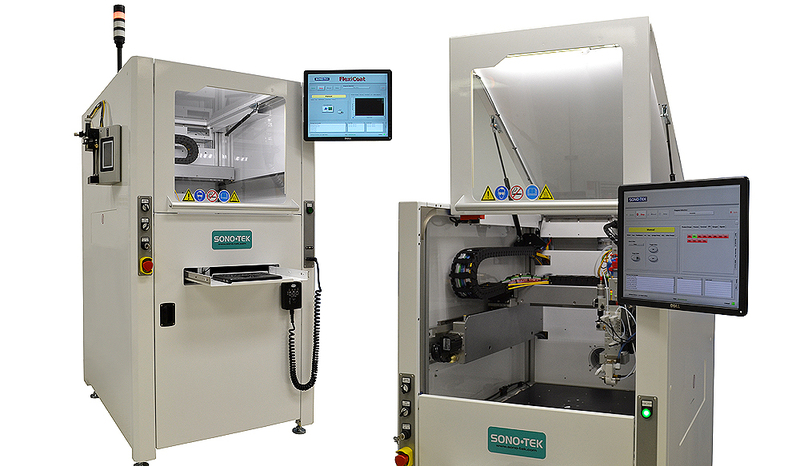 Ultrasonic spray wet deposition offers manufacturers a cost-effective alternative to vacuum deposition and sputtering, with much higher transfer efficiencies. The highly uniform size of droplets produced by the ultrasonic atomizing nozzles makes it possible to achieve the optimal size droplet to perform the pyrolysis reaction, and all droplets will react in the same manner at the same time during the deposition process. This results in a highly efficient TCO production process, in either R&D or high-volume production. The process challenges of spraying highly corrosive acids are overcome using Sono-Tek’s Cobalt A12 Series ultrasonic nozzles, fabricated with corrosive resistant materials of construction for non-clogging, repeatable, long life performance, even spraying highly corrosive Hydrochloric or Hydrofluoric acid solutions. Ultrasonic spray pyrolysis is simple, flexible and cost-effective compared to CVD (Chemical Vapor Deposition) processes. 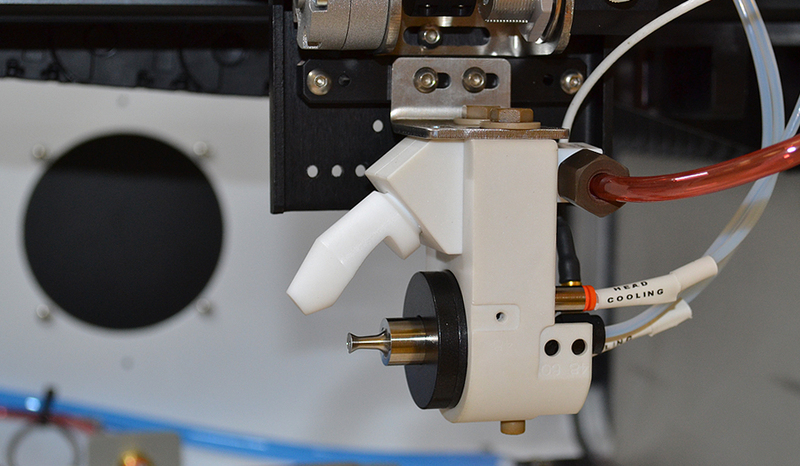 Ultrasonic spray nozzles deposit more uniform layers than other spray methods. 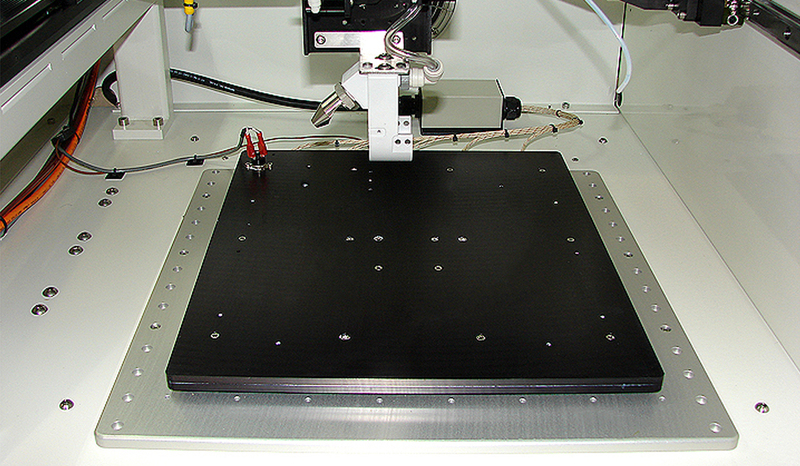 Easy to adjust and repeatable coating parameters. 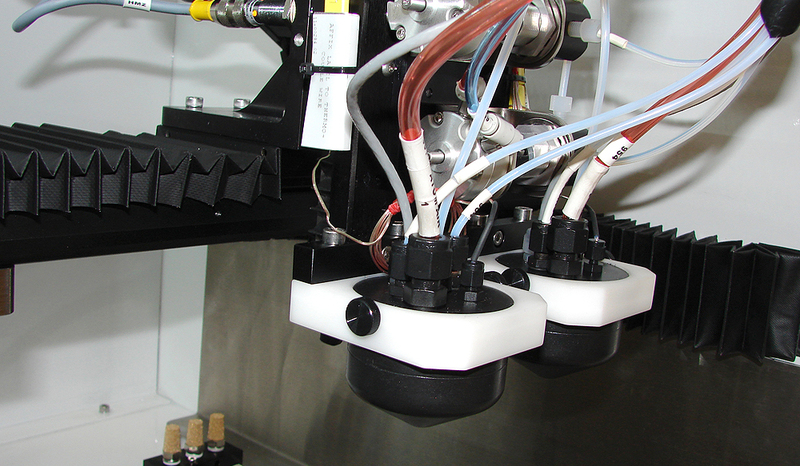 Fully integrated patented ultrasonic nozzle technology and liquid delivery, providing a full coating solution. Alternative low temperature spray pyrolysis (250 degrees Celsius and below) processes continue to emerge, with more research and development of chemistries which don’t require high temperature target substrates. 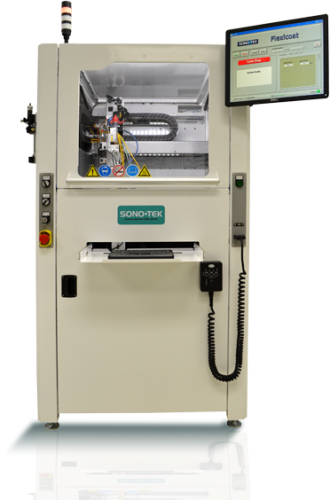 For these processes, Sono-Tek offers our ExactaCoat R&D systems and our FlexiCoat pilot line/batch manufacturing systems.